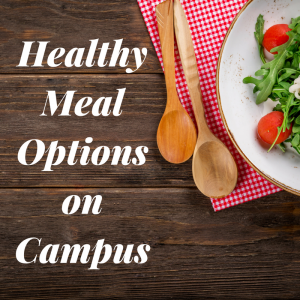 Whether you live on campus, or commute for classes, it is important to know where the healthy meal options are for when you inevitably get hungry. It is important to make sure you incorporate plenty or fruits, vegetables, and protein into your daily diet. Below are just some of the healthy meal and snack options that can be found around campus. There are salad bars located in both Drumlin and Esker Dining Halls which make a great meal or side option that is offered for lunch and dinner daily. In addition, Esker Dining Hall has a stir fry station with various vegetables you can cook and prepare personally to your liking. The dinning halls also usually provide apples, bananas, and oranges which make for the perfect snack. Prairie Street Market has opened a salad bar as well during the week called The Green Leaf, where they will prepare an individual salad for you as well. The University Center’s Chopped in Ike Schaffer Commons is open for lunch during the week. At chopped you can also have a salad made for you personally with a wide variety of lettuce, protein options, and vegetables. Also, there is Willie’s 360 located in the University Center when there are a wide variety of smoothies are available. A smoothie is a great option when you need to take something to class with you. First and foremost, try your best to limit your time outside. I know I know this may be challenging because you want nothing more than to soak up the fresh air. BUT, they do say April showers bring May flowers, right? 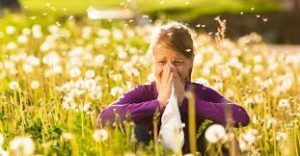 Those flowers and leaf buds that are just starting to sprout carry a crazy amount of pollen and can spring on your allergies (pun intended). If you really can’t find a way to escape long periods in the newly fresh air, make sure to wear sunglasses, to prevent the pollen from finding its way into your eyes. Also, make sure to wash your hair in the shower well in order to prevent you from bringing the pollen into your household. Another great way is to hop on the allergy medicine EARLY. It’s kind of like riding a bike; you wear your helmet to prevent any head injuries when you fall. In this case, prevent the allergies from even being able to beat your immune system. With all of this said, I am NOT a doctor, therefore make sure you discuss this option with someone who has a PhD to make sure it is safe for you to consume. I recently took a three week academic trip out of the country to the United Kingdom with a class from UW-Whitewater. I am so very grateful for the opportunity and experiences I have received from this adventure! An aspect of this trip I had not previously thought about was the plane ride. 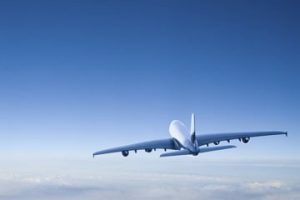 Even though many international flights are decently comfortable, a plane ride is a plane ride. And typically, they can wear you down mentally and physically. Here are some ideas you can utilize next time you have a long flight and don’t want jet-lag. Stretch: You may see some people doing this at the airports, and that is because it helps immensely with jet lag. It’ll help loosen your muscles and relax your joints for a more comfortable flight. I stretched for 15 to 20 minutes before my 7 hour flight, and I didn’t feel tight or achy afterwards. Stay Hydrated: While you should always stay hydrated, it is even more important on a plane. Water will help your body adjust to the altitude change and help your stomach settle if you’re a queasy flyer.